The 7 Best Fly Fishing Spots in Kansas! 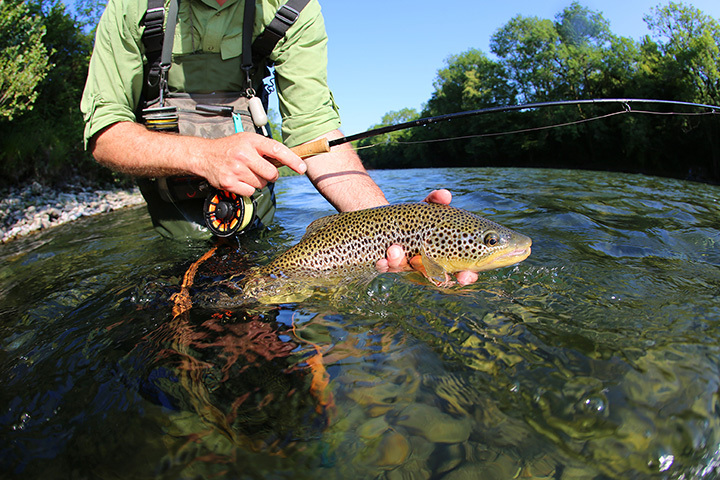 Kansas is a hot spot for fly fishing and continues to grow in popularity. With an abundance of glimmering lakes, reservoirs, and streams to provide many hours of fishing, any angler will be afforded a memorable experience. Check out these great fly fishing spots in the state. Kanopolis Reservoir area near Kanopolis has several good spots to spend the day fly fishing. Throw in off the banks or from a boat and enjoy! Fly fishing is open in the Flint Hills National Wildlife Refuge near Hartford. Fisherman are asked to observe regulations to protect habitats and wildlife while fishing. Fly fisherman enjoy the fishing the lake or on the river above below the lake. Bass and Crappie are favorites at this spot. You don’t have to go to Canada to fly fish when the fly fishing is good at the Fall River State Park near Toronto, Kansas. Located between the Cross Timbers region and the Flint Hills grasslands, this park has amazing fly fishing opportunities. A great historical spot for fly fisherman along the park banks or from a boat. Kaw Point Park is where the Kansas River and the Missouri River meet in the heart of Kansas City. There is an area of Blue River in Kansas City that is home to a maintained stretch of the river used by fly fisherman. Check out the website to discover this fly fishing spot. Find just the right spot to fly fish at El Dorado Lake near El Dorado. There at almost 100 miles of shoreline and accessible lake outlets with plenty of fish waiting to be hooked. View more Kansas Fishing Holes.